For many people in the United States, debt has become a common problem that adds stress, especially when it spirals out of control. Because of high interest rates, changes in income, or simply falling behind due to unforeseen life events, debt can quickly grow from a manageable situation into a full-blown crisis within a short time. This is why one needs to understand their options when trying to get out of debt. There are many common strategies used, so it's important to find out what works best. While these plans are useful in different situations and some are most effective in only the worst of cases, services such as debt consolidation can greatly improve your odds of beating debt while quickly regaining your quality of life and lowering your stress. This method is generally free and can be effective in certain situations. In short, it involves speaking with a qualified debt counselor and finding a plan to pay off debts that is both feasible and can be completed within a realistic time frame. Most credit and debt counseling organizations do so at no cost, although some charge small fees. Additionally, counseling is usually handled by professionals who are certified at a national level, and can offer educational tools to help better manage debt in the future. Moreover, they are incredibly detailed, looking at all aspects of a customer’s finances to create an appropriate budget. This is a great option for some, but it can present serious downsides. 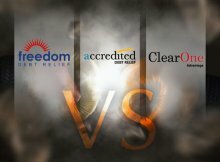 For one, it can lead to some less-than-reputable agents who can charge hidden fees, or misrepresent their certification or qualifications. Furthermore, they require incredible discipline and can sometimes offer advice that runs counter to a customer’s interests. As such, it is only an appropriate solution for those who are looking to learn, and can take the time to work on debt as a long-term project. 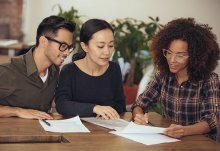 Debt settlement has become a more popular option in recent years thanks to its promise of savings and a more final resolution to the problem of unpayable debt. With this strategy, the customer, or an agent acting on their behalf will negotiate a settlement for existing debt with a customer’s creditors to reach an amount to be paid that is agreeable to both parties. While this will not cancel an entire debt, it is an effective way to limit the damage done by piling interest rates and still allow creditors to collect a substantial portion of the outstanding debt owed. While customers can negotiate this personally, it is more advisable to work through debt negotiators who are experienced and in many cases, have working relationships with major creditors, allowing for better terms and settlements. 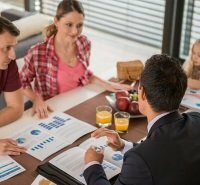 While this may be appealing in some circumstances, it has several downsides that can have long-term ramifications on a customer’s personal finances. For one, this guarantees that a negative mark will be placed on their credit report for up to seven years, and can affect their opportunity to access credit later. Additionally, settlements must be paid monthly, and missing a payment can void the agreement, forcing the customer to pay exorbitant fees. Moreover, companies are not required to accept settlement offers, and may still force customers to pay the full outstanding debt. Debt settlement companies may also charge large fees that can negate some of the savings achieved. In recent years, debt management planning services have become an increasingly popular option for debt relief. These services offer customers a detailed plan to pay off any outstanding debt, and they reach agreements with their creditors that allow customers to pay the full principal amount and reduce or remove interest. Debt management plans are a terrific way to pay off credit card or unsecured debt, as they are heavily structured and can have a positive effect on credit scores. In addition, they allow customers to roll all their monthly debt payments into a single amount, reduce the amount of payment planning involved, and offer budget training. However, there are a few downsides to these plans. For one, most debt management plans require three to five years to complete, and can be incredibly restrictive. Debt management plans typically do not allow customers to skip payments, and dropping out of the program means that creditors can remove any concessions made and continue charging interest and late fees. Furthermore, debt management plans generally come with enrollment fees as well as maintenance charges that can pile up over time. This is considered the “nuclear option” for debt relief, and in most cases financial advisors will be hesitant to recommend it except in the most desperate cases. Declaring bankruptcy allows customers to have a “fresh start” on their credit and debts, but it comes with several strings attached. It does also offer other benefits that can be appealing to customers with substantial amounts of debt. For one, it provides protection from harassment by collectors and creditors, as courts grant a stay on customers’ debts, meaning that creditors cannot make collection attempts through traditional means. One of the best features is that bankruptcy allows customers to keep most of their assets even through the repayment process. On the other hand, such an extreme measure does come with several long-term consequences. Credit scores are often irreparably damaged for an extended period—between seven and ten years—as bankruptcy proceedings remain on reports for that time frame. This means that gaining any sort of credit afterwards will be difficult and often come with exorbitant interest rates that make them impractical. Bankruptcy proceedings can also be expensive as they require lawyers, court fees, and more charges. Finally, bankruptcy does not provide blanket amnesty on debt, as student loans, alimony, and back taxes will remain until they are paid off. 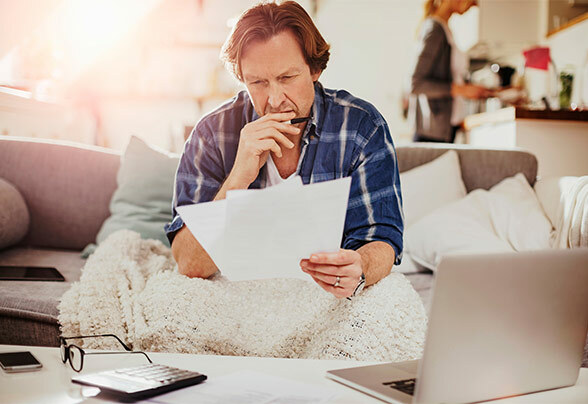 While the other alternatives are appealing for those customers that have reached unmanageable levels of debt, they all present significant downsides that make them unappealing in many circumstances. While they do assist in alleviating debt, many of their side effects can cause long-term credit implications that will do more harm than good over time. On the other hand, one of the best and often overlooked solutions for customers who are looking to efficiently manage their outstanding debts is to opt for a consolidation loan. While it may seem counter-intuitive to use a loan to resolve debt, consolidation offers an impressive solution that works on several levels simultaneously. Debt relief services offer customers the ability to take out a new loan to pay off existing unsecured debts and roll the outstanding amount into a single monthly payment. The goal with a consolidation loan is twofold. First, by rolling all debts into a single payment, customers can more easily manage their existing obligations every month by focusing on paying off one loan instead of many. The second benefit is that consolidation loans typically enable customers to lower their interest rates into one manageable amount that can reduce the total money paid over the lifetime of a debt. There are several notable reasons to pick debt consolidation over other methods. The first is that many companies offer these services as part of their loan products. This results in competitive rates and the ability to find a service that works with a customer’s specific circumstances and needs. Additionally, debt consolidation experts have experience in finding the lowest available payment, letting customers create a payment plan that works within their budget. Third, it allows customers to be significantly more organized and reduces the chance of mistakenly missing a loan payment. By only having to worry about one monthly charge, planning and budgeting become significantly easier. While it is not recommended for every case of debt, consolidation offers customers an excellent solution for their obligations. By signing on for a consolidation loan early enough, consumers can avoid being locked into a spiral of unmanageable debt by lowering their interest rates and budgeting more effectively. On top of these benefits, consolidation loans can save thousands of dollars down the line in interest payments and late fees, as they cut down on mistakes and generally lower rates to competitive levels. While personal circumstances may vary in each case, consolidation is an excellent way to stay ahead of debt and manage payments effectively, with more limited hassle and stress.